Go Epic on your Sunday Brunch! Sundays are great for indulgence! 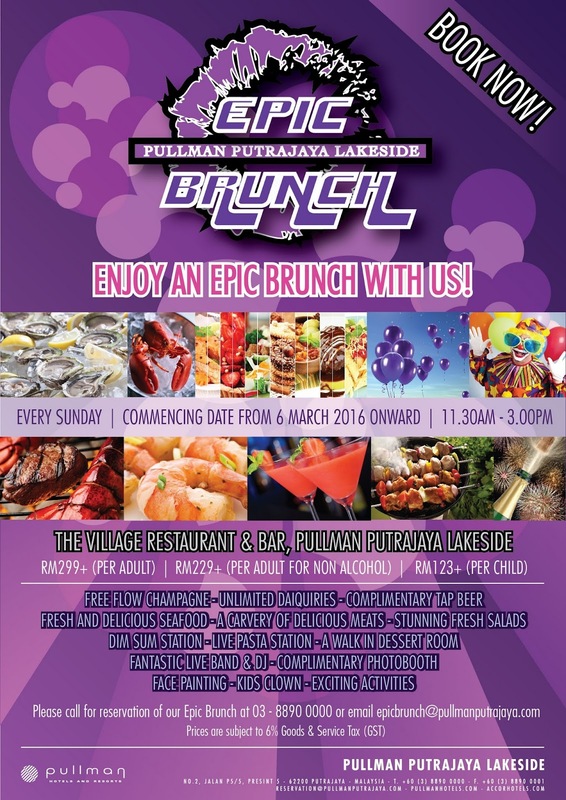 If you’re looking for a feast to indulge, head on over to The Village Restaurant & Bar at Pullman Putrajaya Lakeside for their Epic Brunch. 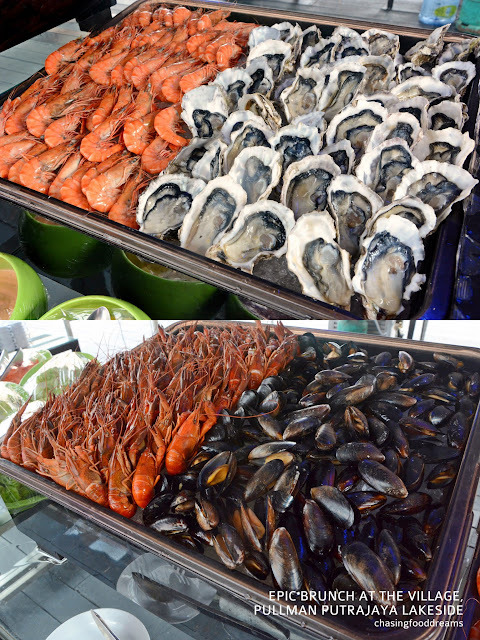 Recently launched, it’s a plethora of tantalizing seafood, bbq and dessert buffet unlike any other. Over one beautiful Sunday, we headed over to The Village Restaurant & Bar and was pleased with the gorgeous sight of the fine-looking Pullman Putrajaya Lakeside hotel. 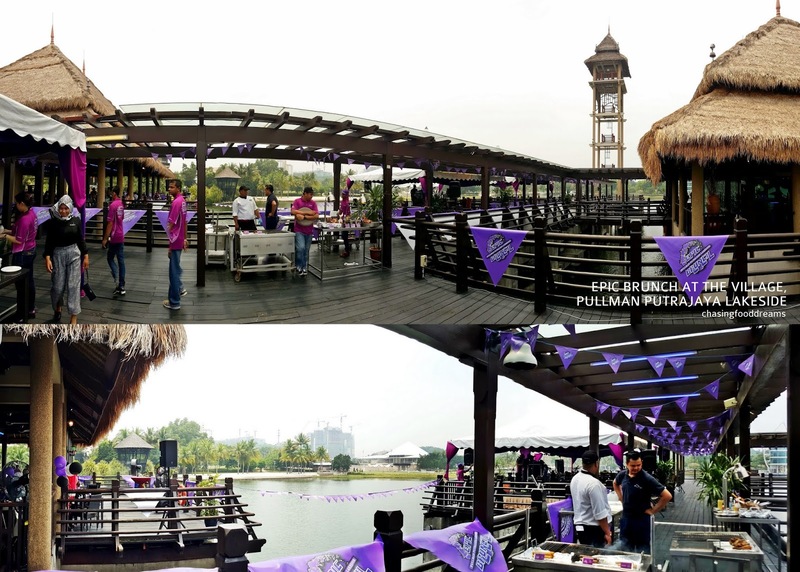 Located next to a lake, the resort is huge and spacious. 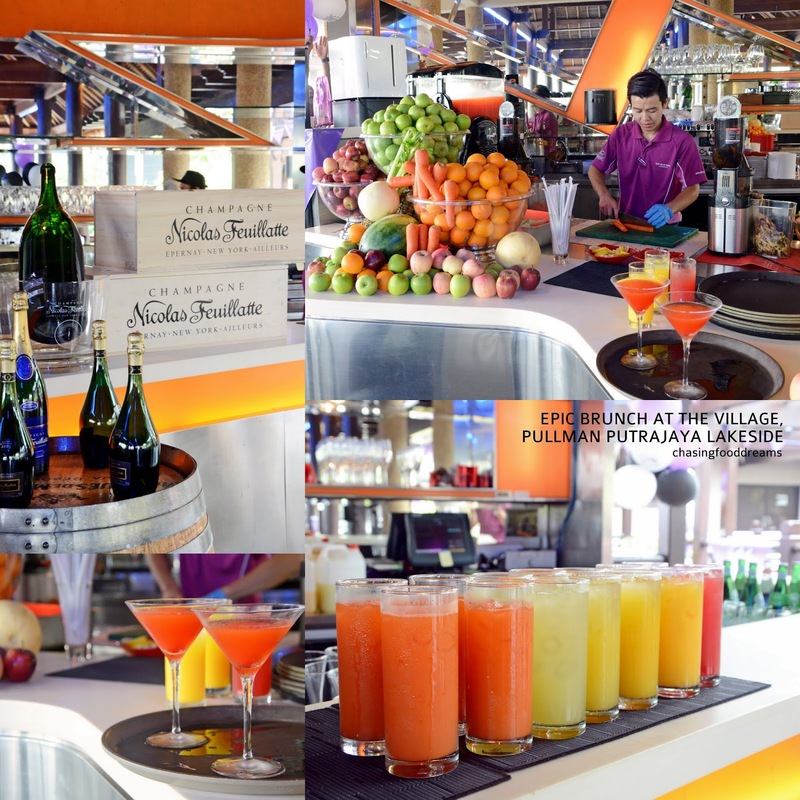 We took a leisure stroll to The Village Restaurant & Bar and was greeted by a majestic sight of colors. The whole restaurant was decked out in themed colors of purple, black and white. The ambiance was jovial and picturesque with lots of tables nicely spaced out. 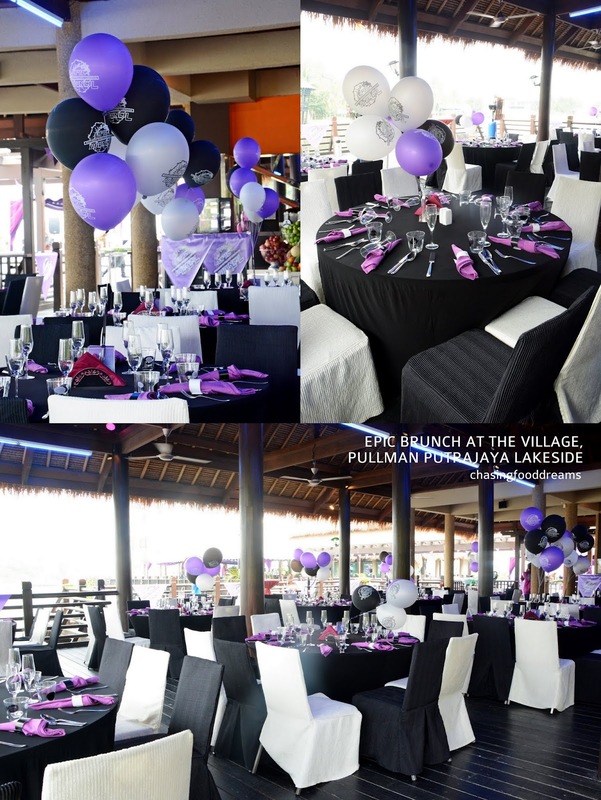 As the restaurant is located next to the lake, the view is delightful and perfect for a Sunday indulgence brunch with family or friends. 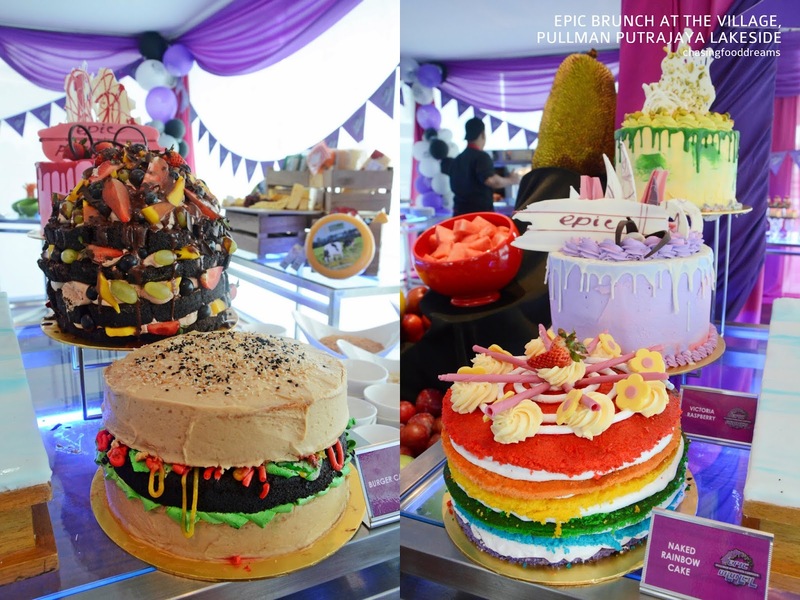 The Epic Brunch is priced at RM317nett (with free flow of champagne, tap beer, cocktails and other beverages), RM243nett per adult (non-alcohol beverages) and RM 130nett per child. 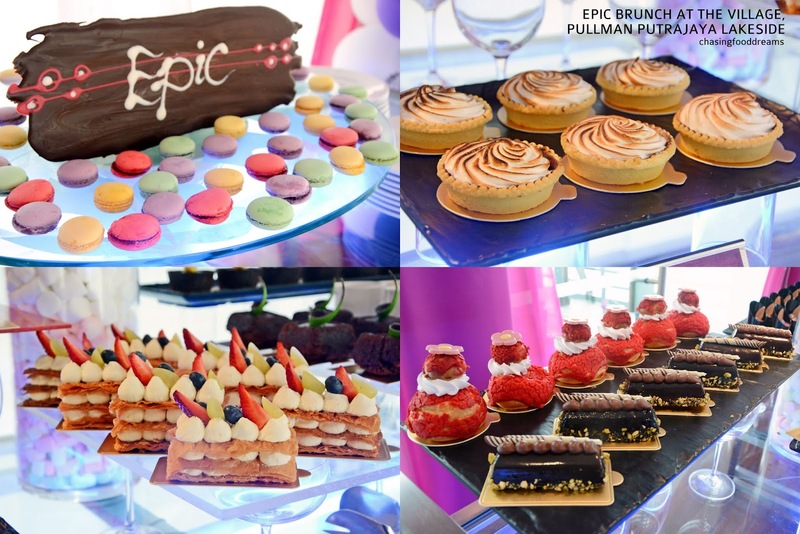 While one may deemed that the price is steeped, wait till you see what the Epic Brunch offers! 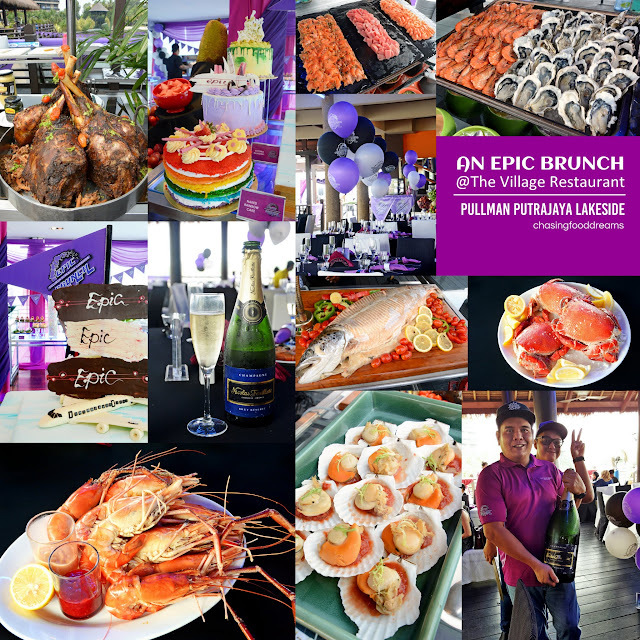 It’s not named epic for nothing because the brunch is lavishly filled with premium seafood and other treats that really takes your indulgence to a whole new level of satisfaction. Head on over to the Seafood on Ice bar to feast on Crayfish, Mussel, Prawn, Oyster and lots of Salmon and Tuna Sashimi as well as Gravlax. Enjoy the seafood with various sauces that includes a delicious onion mignonette among the fresh lemon wedges and Thousand island sauce. The sight of a whole Salt Baked Norwegian Salmon makes my heart sing with joy. 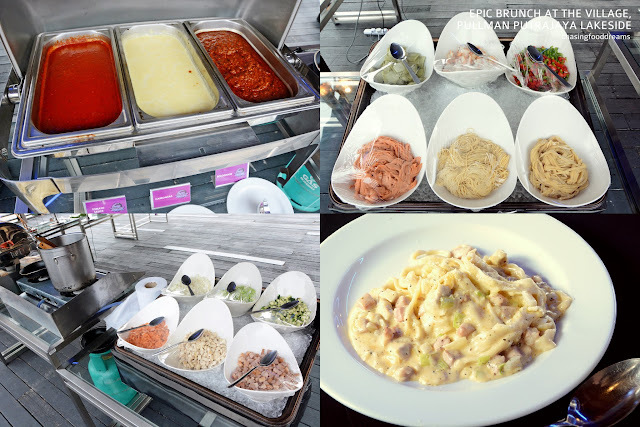 The salmon was cooked just right as the flesh was sweet and soft with a touch of salty creaminess. 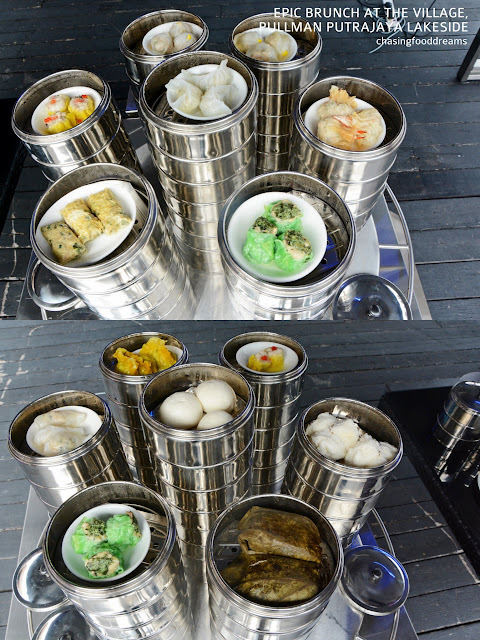 There was also Whole Baby Barramundi baked and served with local sauces of Cili Kicap, Air Asam and Sambal Belachan! Leg of Lamb, all five of it, was roasted with spices and are equally tender and moreish as the Prime Rib. 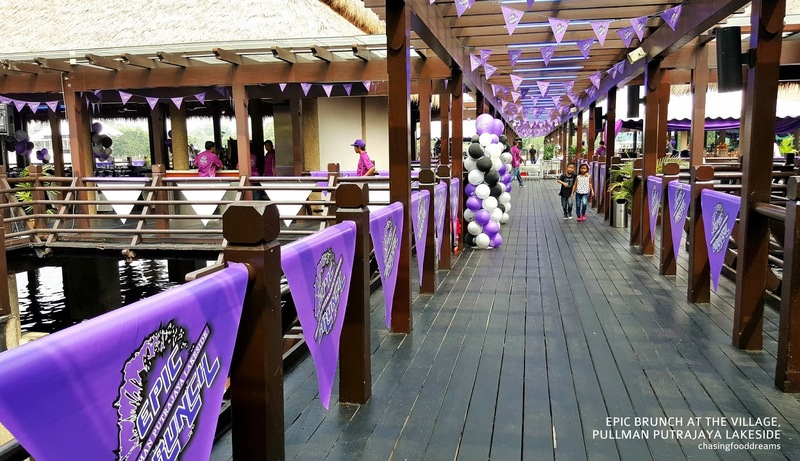 Next to the Carvery station was the BBQ and Grill station where lots of grilling actions are manned by the many chefs to whip up various Sausages, Chicken, Seafood and more. What makes Epic Brunch so value for money is when the wait staff started to come out carrying platters of King Neptune’s ransom treasures of Spanner Crabs and Freshwater Prawns! 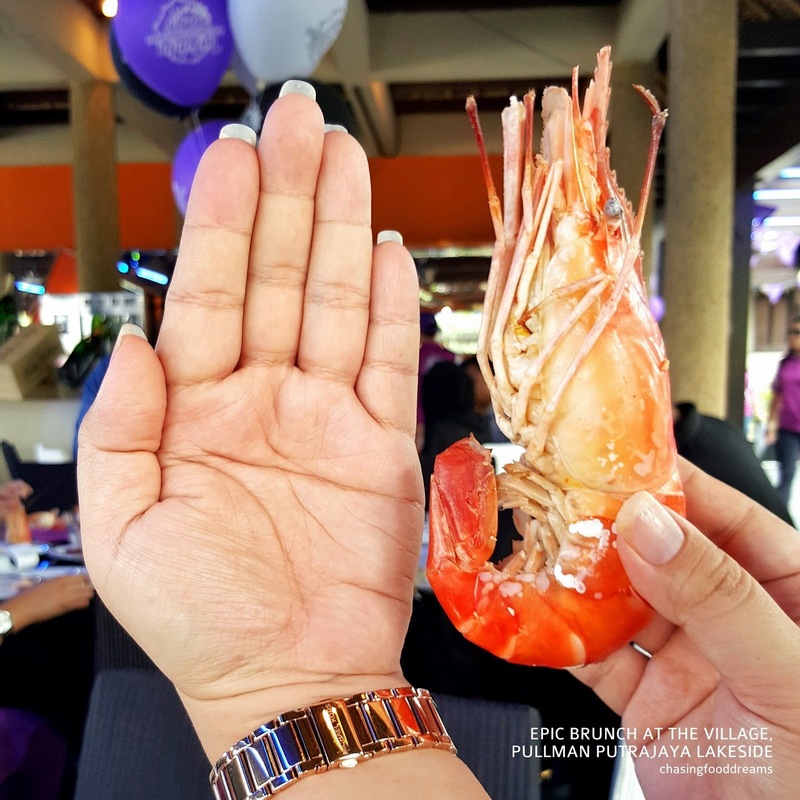 Served at your tableside, these lavish crustaceans are huge. Spanner crabs usually have little meat but when they are of this size, the meat is also plenty and sweet. 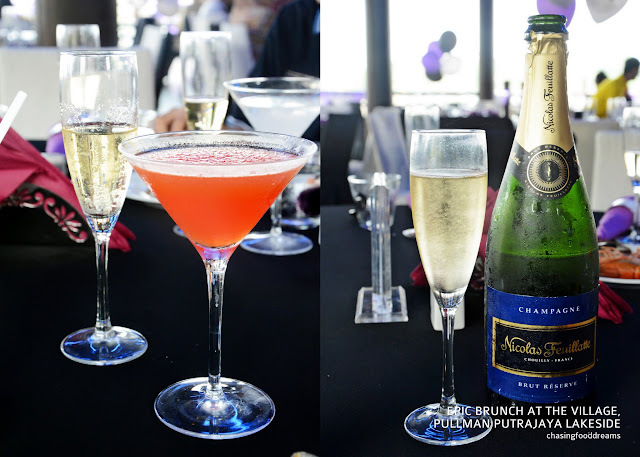 Savoring all these premium seafood, meat and bubblies alone justifies the price tag of this Epic Brunch! Just when I thought that it can’t get any better, I hit the Dessert bar set in an enclosed chilled room. The spread of the dessert is mind-boggling too. 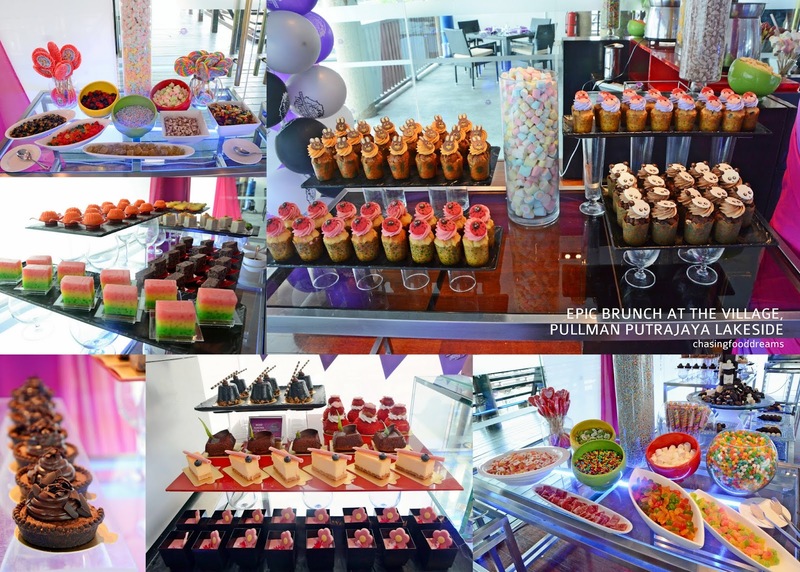 From huge epic cakes to dainty slices, tarts, mousse, jellies, eclairs, cupcakes, handmade chocolates and truffles, macarons, cookies, Chocolate Fountain, fresh fruits, cheeses, ice creams and local kuihs, one would really have a tough time saving space for this lot as well as tough decision in choosing from these delectable dessert spread. 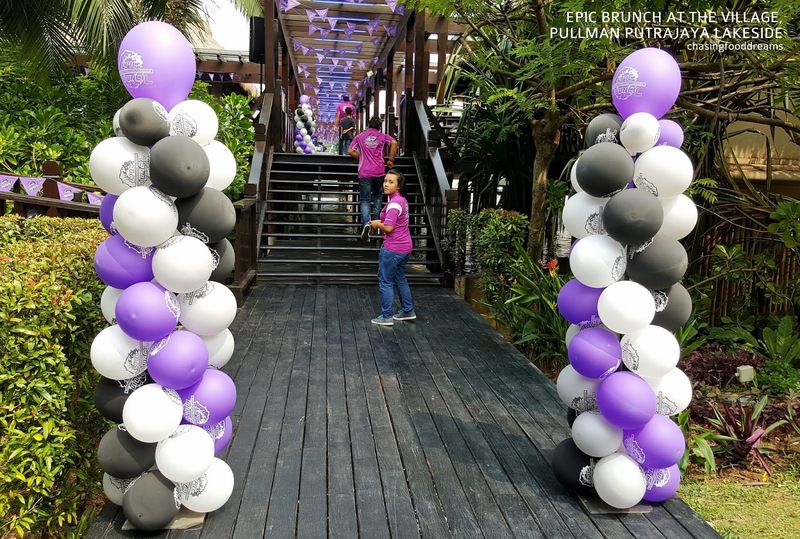 Pullman Putrajaya Lakeside is celebrating Epic Brunch event with special rates from RM317nett and RM243nett per adult (non-alcohol) and RM 130nett per child. Epic Brunch is held every Sunday from 11.30am to 3.00pm.